The large personalization space on this crystal round is framed by faceted edges that reflect color and light. 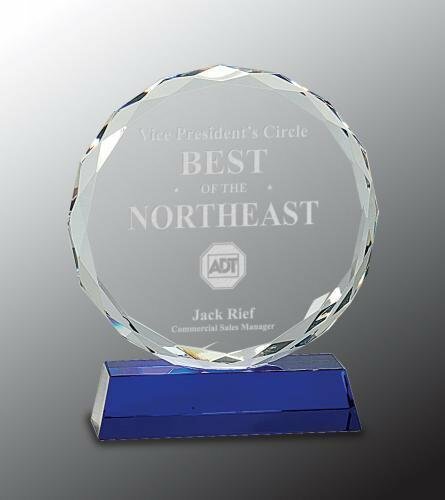 Set into a faceted diamond shaped base, this stunning award is a perfect expression of recognition of excellence. This premier crystal is packaged in a velvet lined gift box for added elegance. Mounted on a blue crystal base, this clear crystal round is framed by diamond cut facets that pick up light and color, reflecting it through the piece. 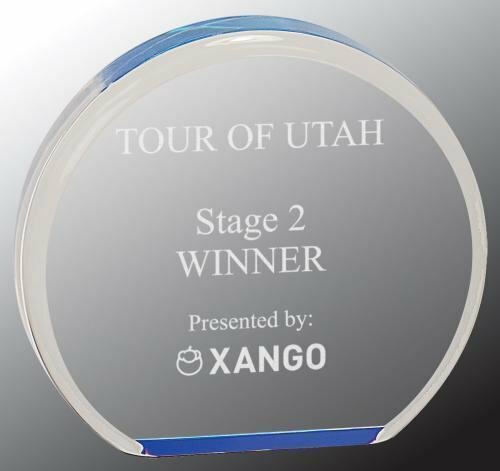 Personalize this stunning crystal to recognize and honor the top performers in your organization. This premier crystal is packaged in a velvet lined gift box. This clear crystal round is beveled all around both front and back to capture light and color and reflect it through the piece. 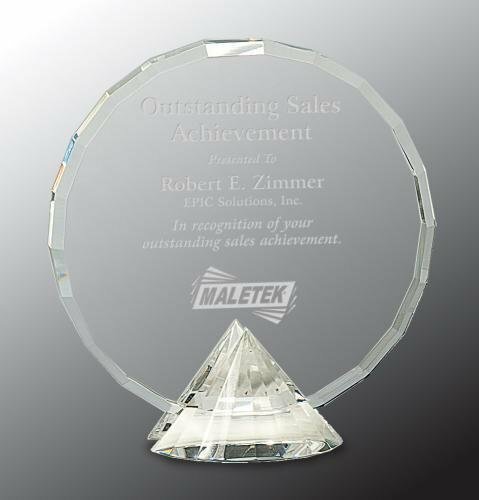 Mounted to a clear crystal slant front base, it can be personalized to honor your top performers or milestone events. This premier crystal is packaged in a velvet lined gift box for added elegance.